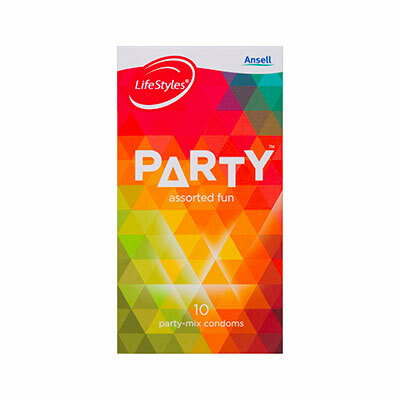 Lifestyles PARTY condoms are an assortment of fun varieties. This party-mix pack of 10 contains condoms featuring colours, flavours, textures, menthol lubricant and glow-in-the-dark tipped. Some of the condoms are multi-featured! Check the condom description printed on each individual sachet and get ready to PARTY!